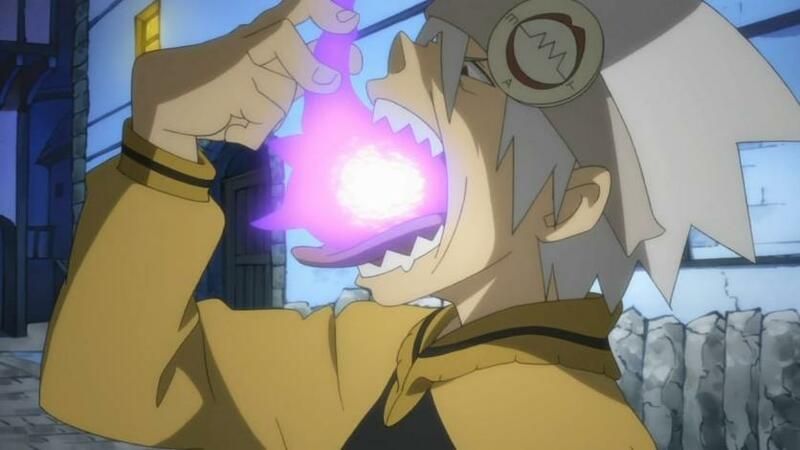 This Page is all about the anime Soul Eater. 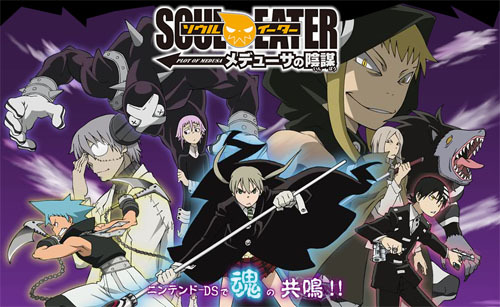 Soul Eater takes place in a city called, "Death City." In Death City, there is a school known as 'The Death Weapon Meister Academy, or "DWMA." Here, students train to be "Grim Reapers" and their weapons, train to be "Death Scythes." Weapons are not only just weapons, but also have human forms. 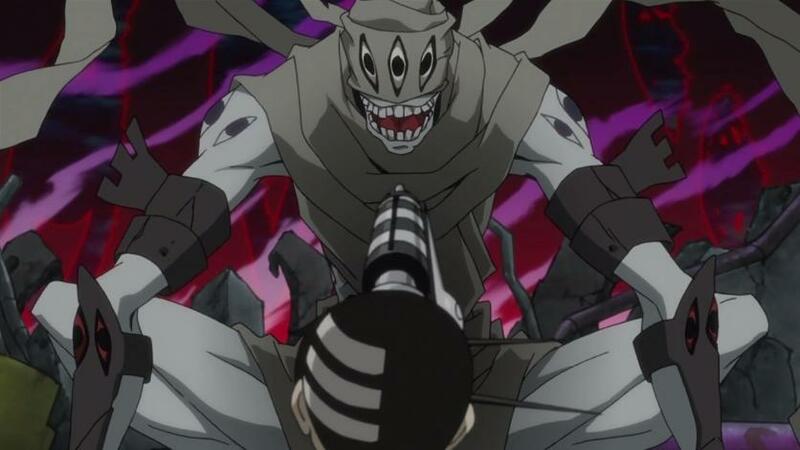 The weapons work with their "meisters" to help eliminate "Kishin Souls" under the instruction of "Lord Death" himself. This story follows several students as they accomplish their goals. 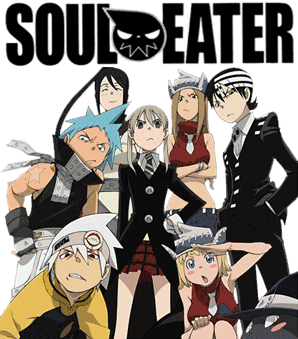 Below is a list of characters from "Soul Eater." Lord Death- As the name suggests, he is infact Death. 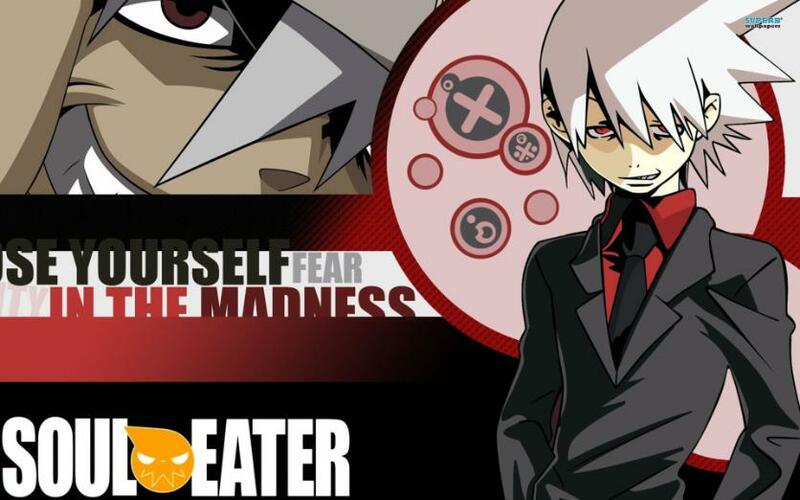 He runs the "DWMA" that teaches students how to become Meisters and Death Scythes. While his part seems minimal in the series, it can be said with absolute certainty that there is more to him than meets the eye. Underneath his silly persona, he is quite powerful. Maka Albarn- A meister at the DWMA. 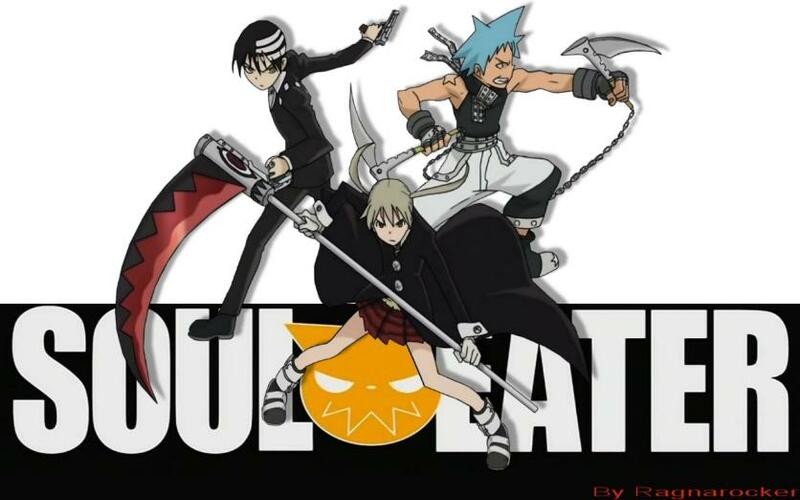 She is partners with "Soul" and the two were almost about to turn Soul into a Death Scythe. 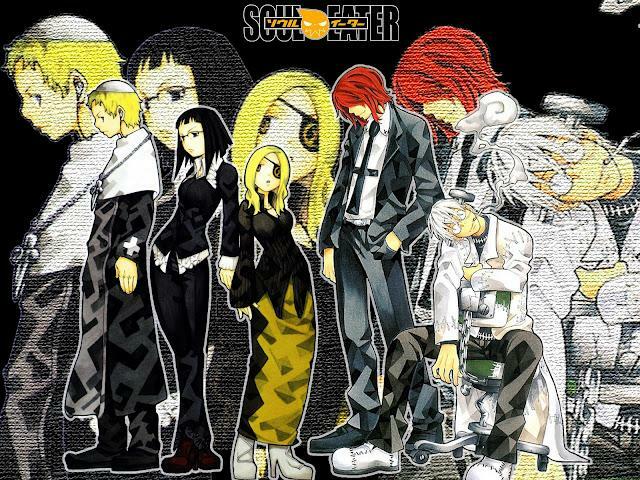 All they needed was a witch soul, which they almost got, but, the witch soul, wasnt a witch soul at all. Now they start back at the beginning, all that hard work, all over again. Maka is serious about her job, but still goofs off every now and again. A little hot-tempered, she still is remarkably strong. A decent meister. 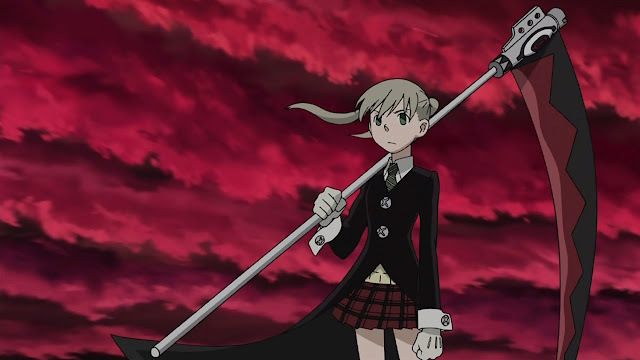 Soul Eater- Maka's weapon. He turns into a scythe for her to wield. He plays "The Cool Guy" and demonstrates this by making comments like, "Dude, that's so un-cool." 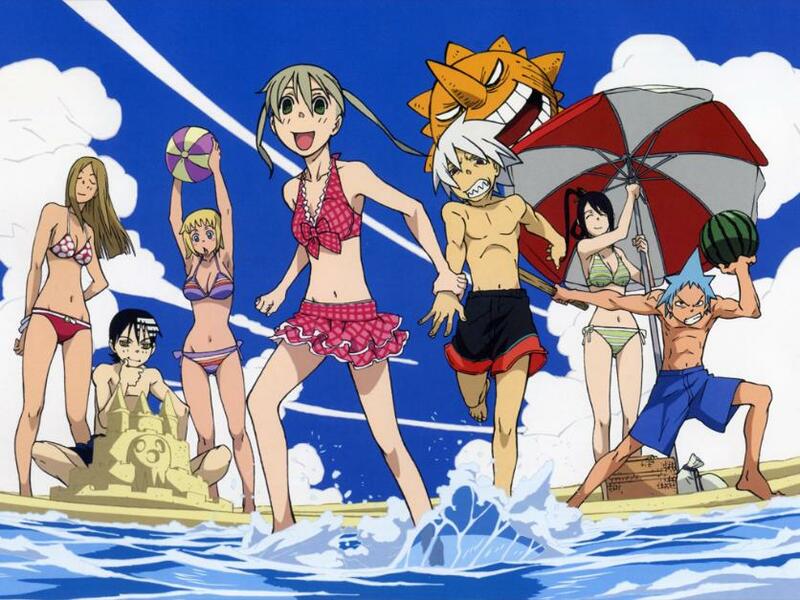 Soul and Maka are perfect partners. 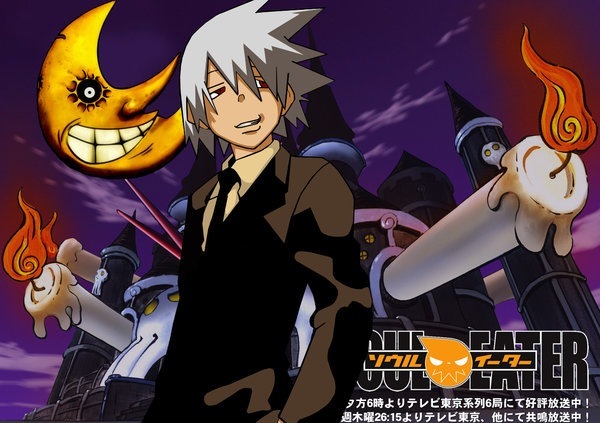 No matter how he acts or seems, he cares for Maka, and wants her to succeed as much as he wants to succeed himself. 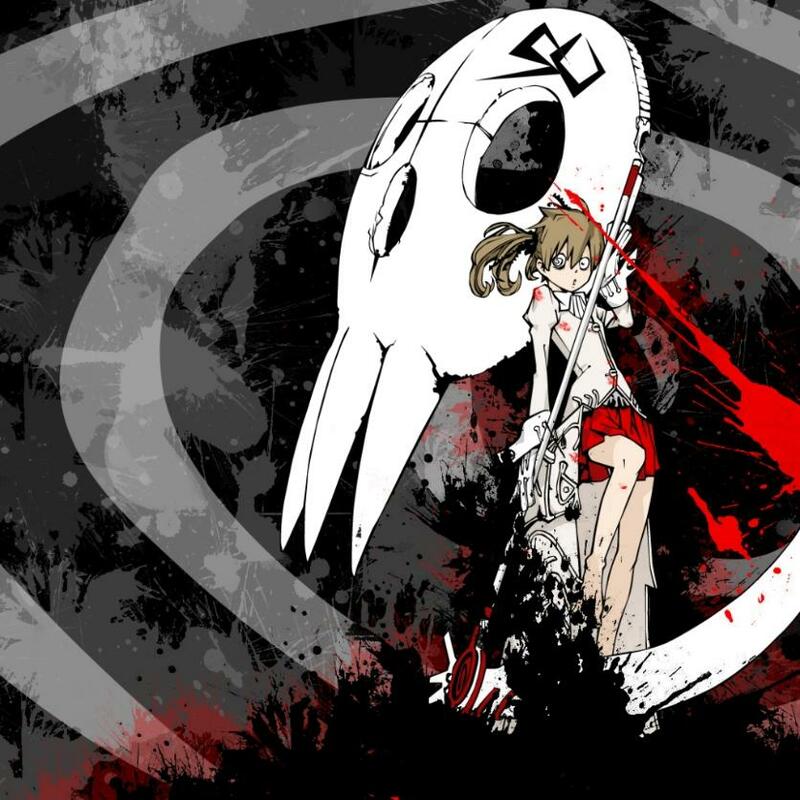 His loyalty goes so far, he's gladly give his life for Maka. 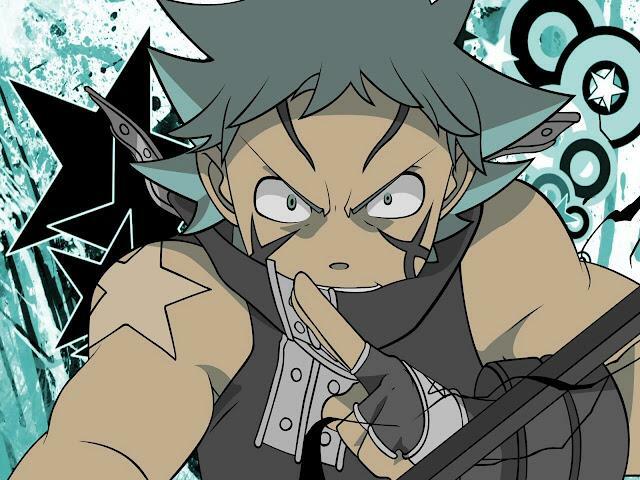 Black Star- Probably the most annoying character in Sou- NO! in Anime History! He goes on and on about being a great assassin..........but that's the thing! He never shuts the F*** up! Yet somehow, he is one of the strongest characters. 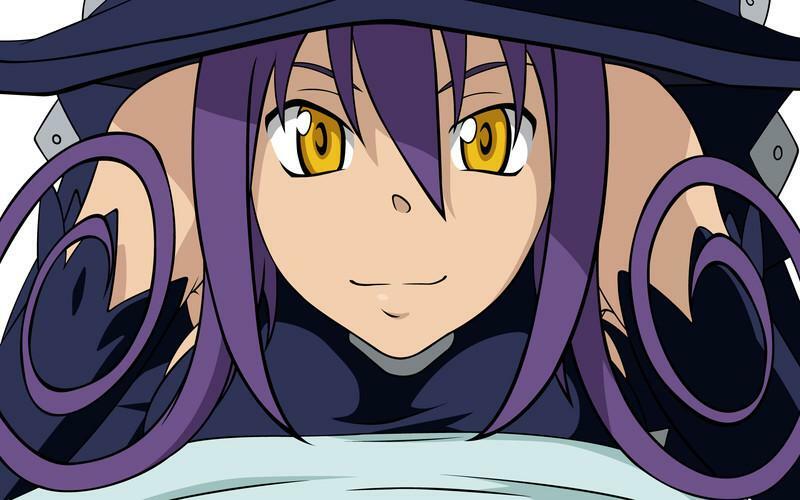 He is partners with "Tsubaki." In addition, he is also the most conceited character! Constantly getting attention for himself, saying "I'm the biggest star in the world!" After a while, it gets to you, it really does. 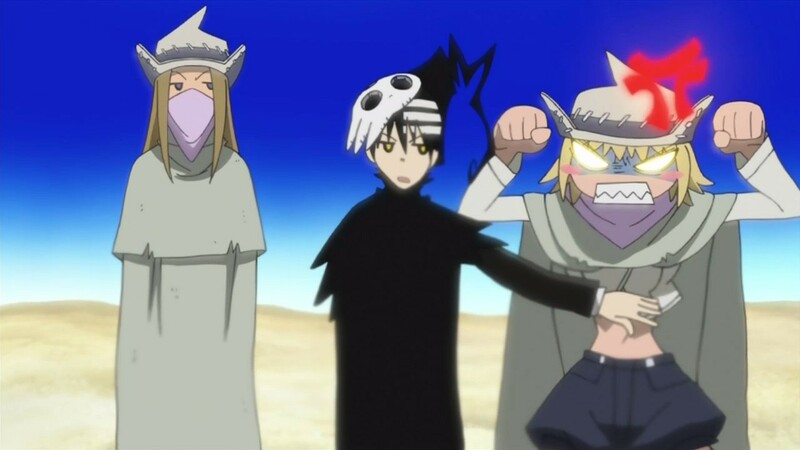 Tsubaki- I feel bad for her honestly, i mean, she's partnered with Black Star for god's sake! She is very loyal to Black Star, and constantly tolerates him. Boy, does she have willpower! 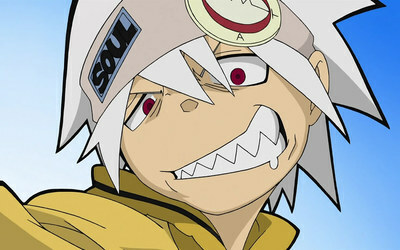 Where Black Star is over the top and ecstatic, Tsubaki is level headed and peaceful. Tsubaki can turn into several weapons, like a large shuriken, ninja sword, smoke bomb, and sickle. 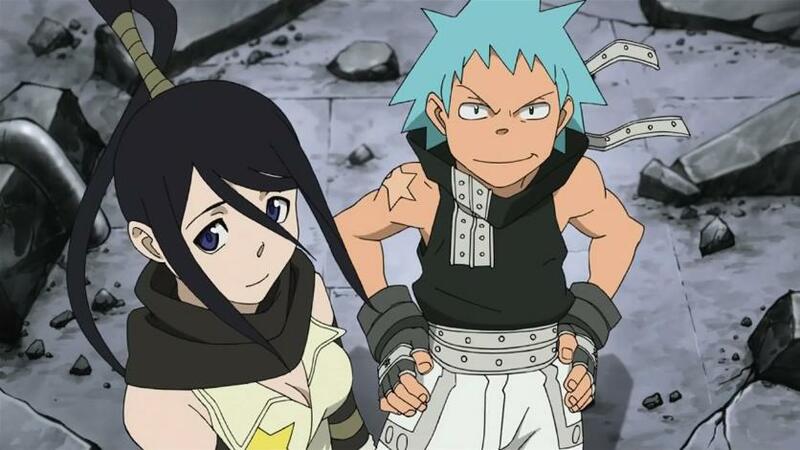 Tsubaki and Black Star are complete opposites, but they make a decent team. 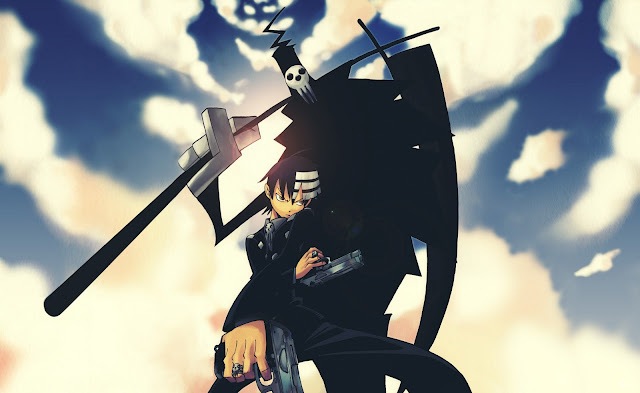 Death the Kid- A Grim Reaper, Kid, is probably one of the most powerful characters in the series. Being the son of Death doesn't hurt either i suppose. Though even though extremely powerful, he has one great weakness.......OCD! DUN DUN DUN! Kid has neurotic tendencies, everything has to be perfectly symetrical, he even has two weapons. Many a time his neurocies get in the way of his work. He can't even fight if he only has one weapon. However, he still is quite powerful. 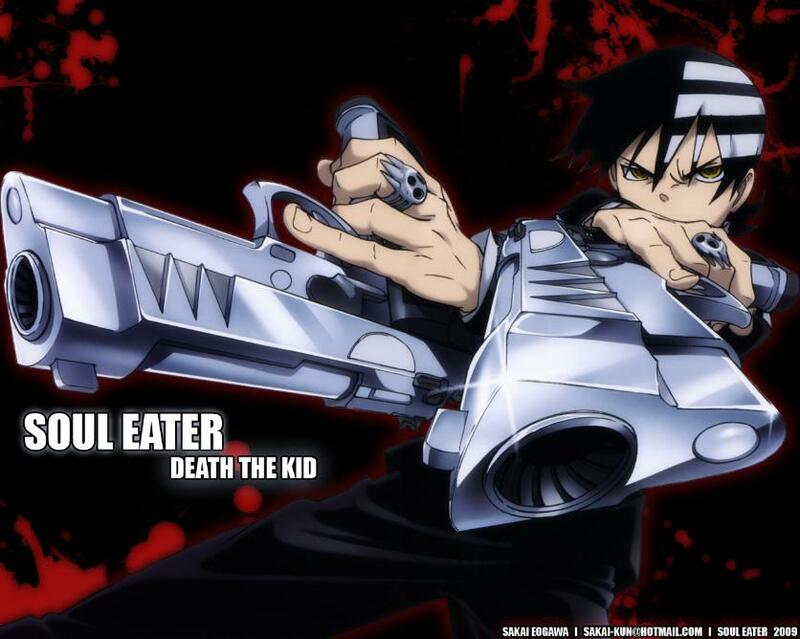 Liz & Patty- Death the Kid's weapons. Liz is the older sister, and while they are opposites, they get along well. Liz and Patty constantly have to put up with Kid's neurocies, but they only complain every now and again. They transform into twin pistols for Kid to use. 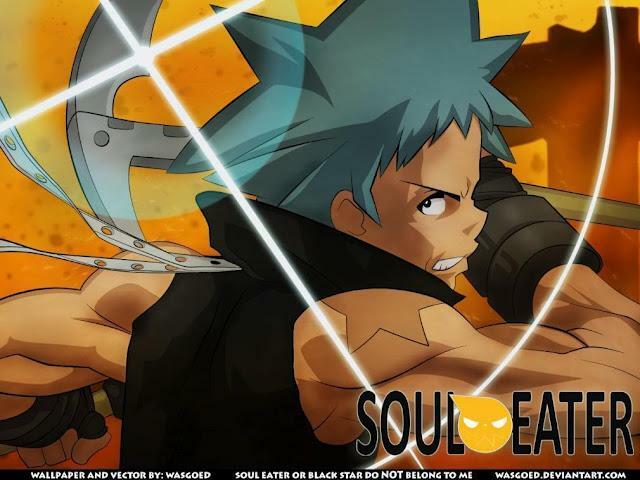 Death Scythe- Maka's father. 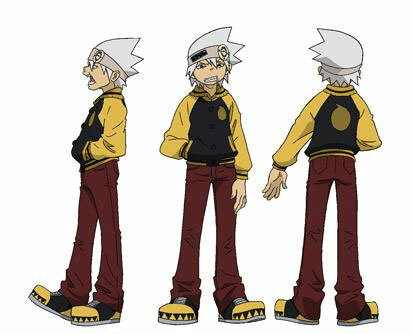 divorced from Maka's mother, he constantly tries to win her affection, which is hardconsidering he cheated on his wife. He is the personal weapon of "Lord Death." He spends time sulking in a brothel of sorts. Blair- A cat. Well, she can also turn into a human. 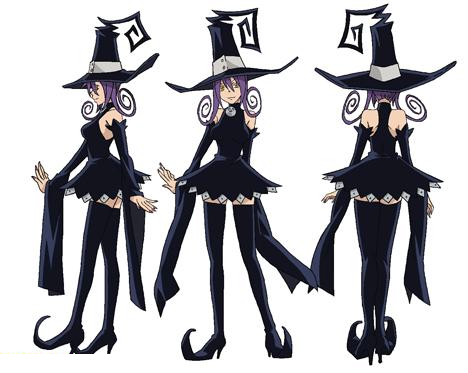 She was confused for a witch by Soul and Maka, but this was not the case. Blair was infact just a cat with magical powers. rather eccentric and somewhat pervy, she seems to want Soul....? 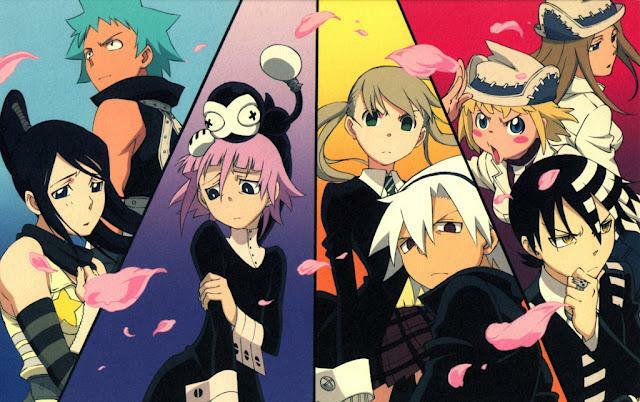 Crona- A boy.......no wait girl......ah, Hell i don't know...who wields the weapon, "Ragnarock." He has black blood, and may not look it, but underneath that awkward, anxious exterior, he....she....whatever! Is extremeley dangerous. Ragnarock- Crona's weapon who sticks out of his back. Ragnarock is constantly mean to Crona, always beating him up and putting him.....her... down. 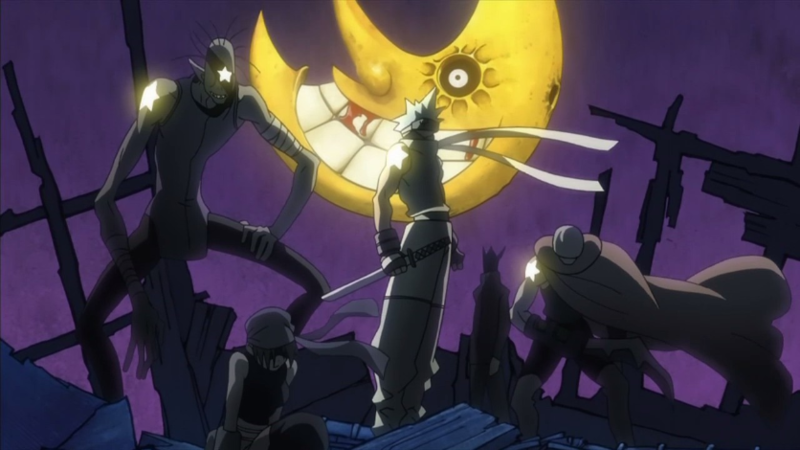 Ragnarock uses Crona's Black Blood to save him from fatal injuries. Franken Stein- A teacher at the DWMA. Extremely powerful, he used to wield "Death Scythe" when he was known as spirit. He has madness within him, he feels a constant need to disect and study things.